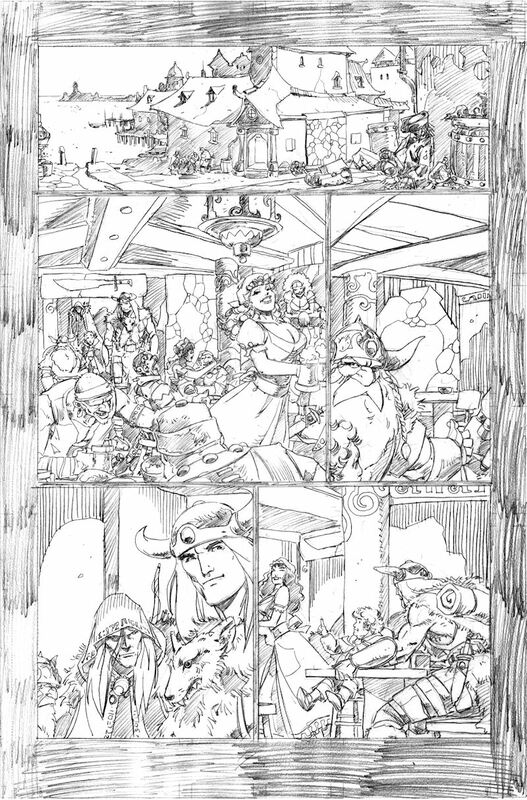 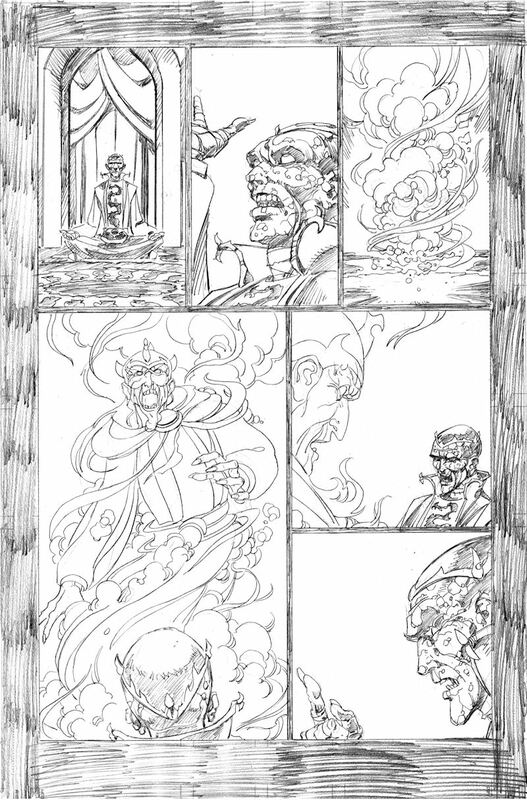 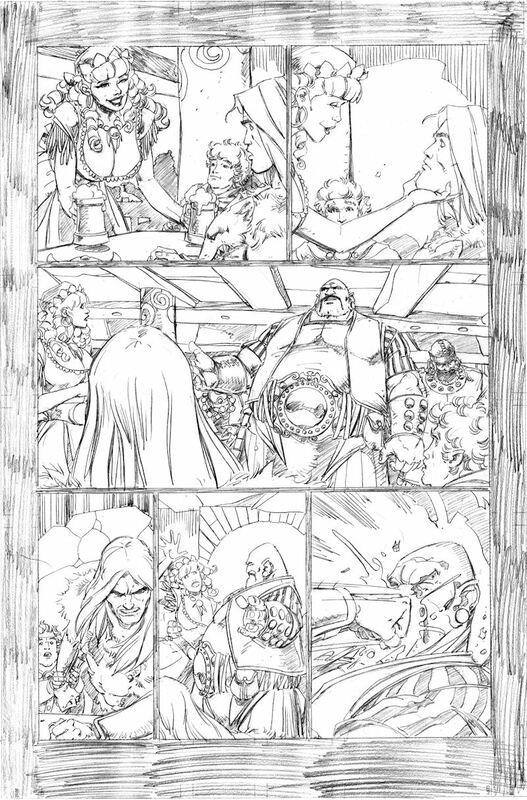 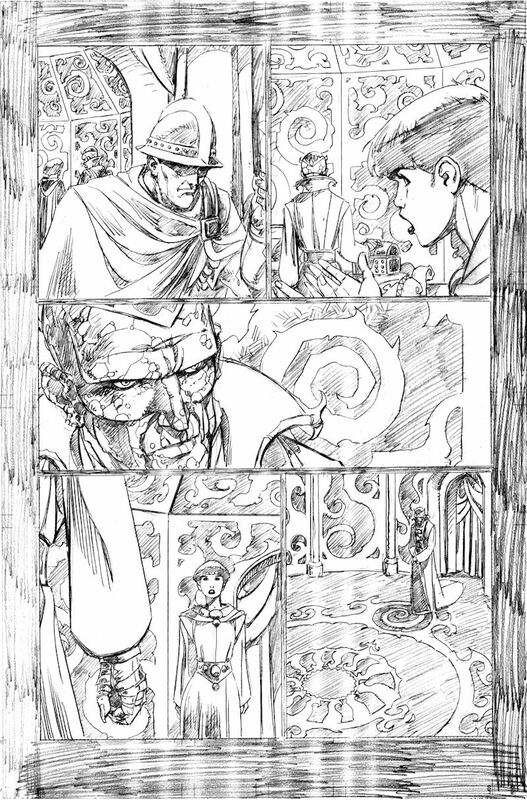 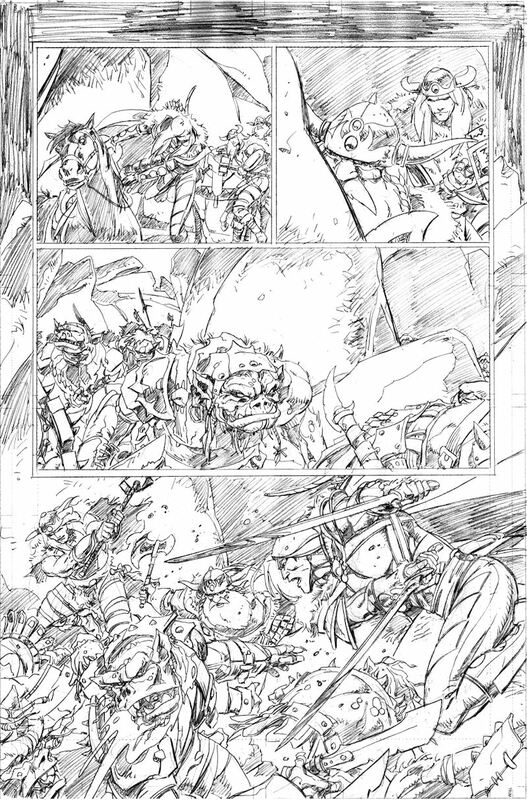 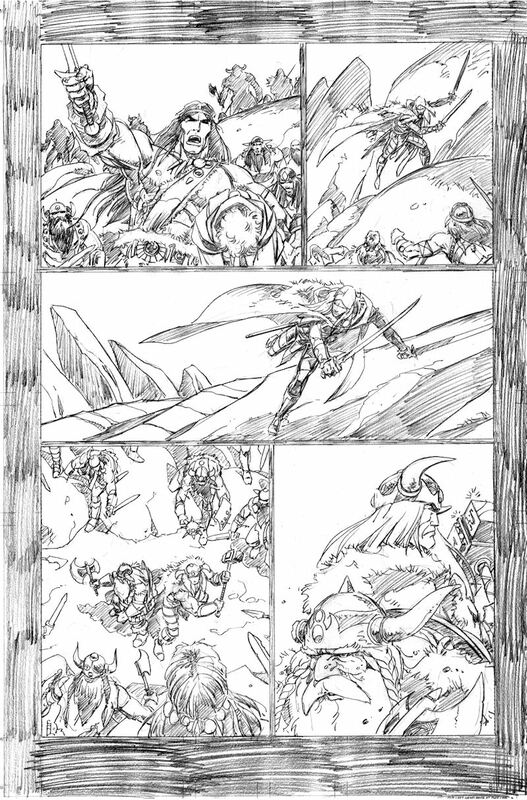 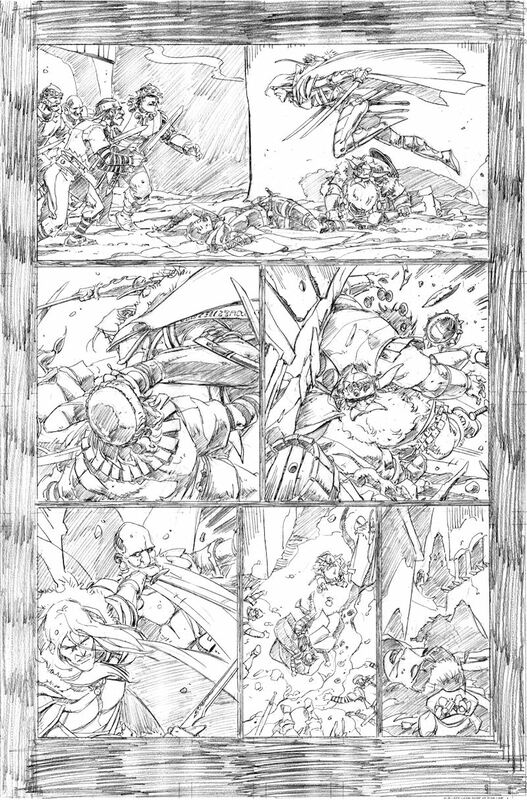 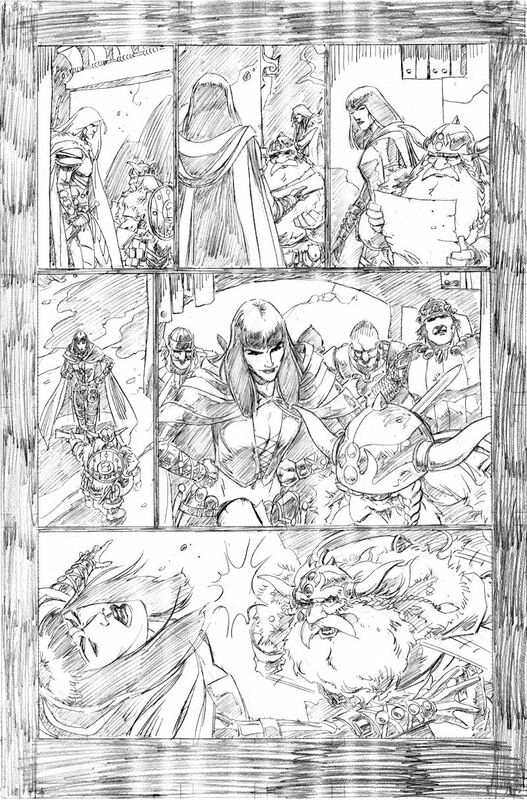 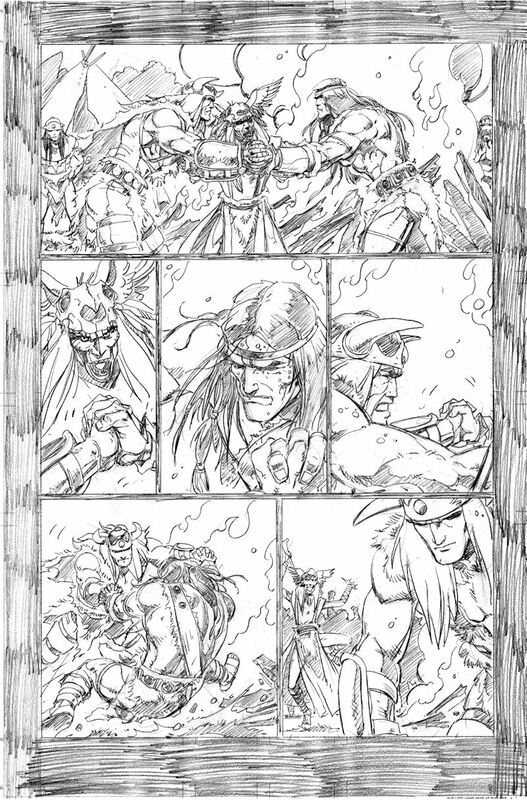 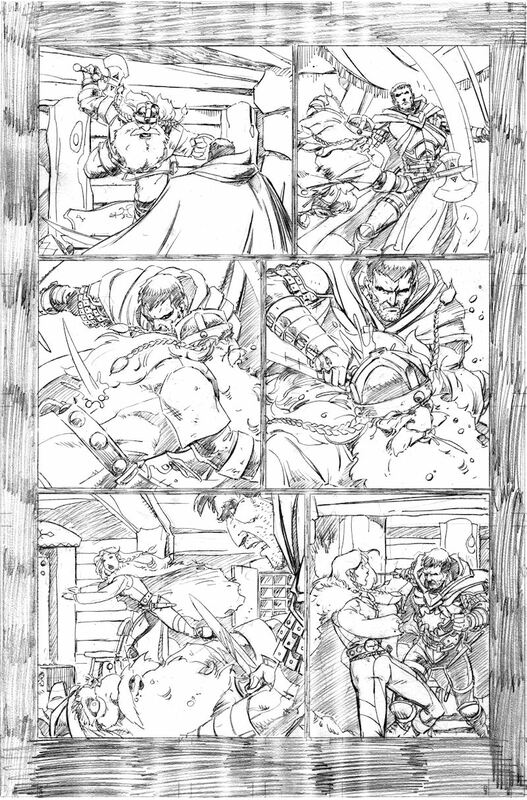 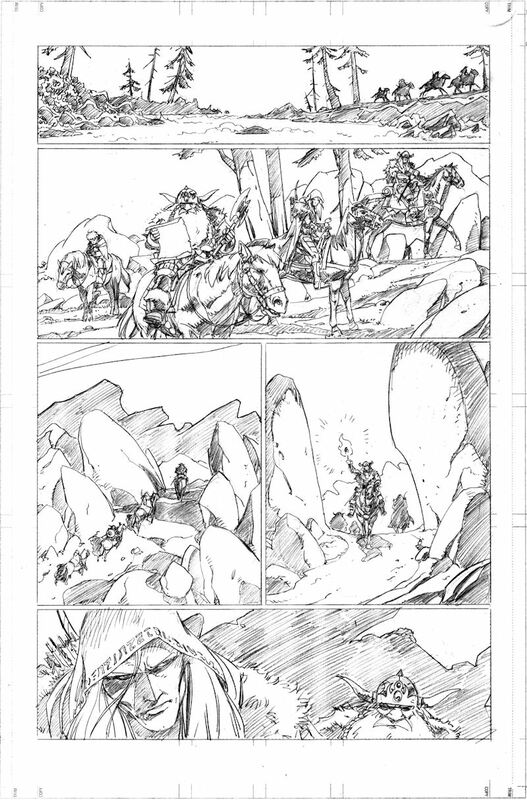 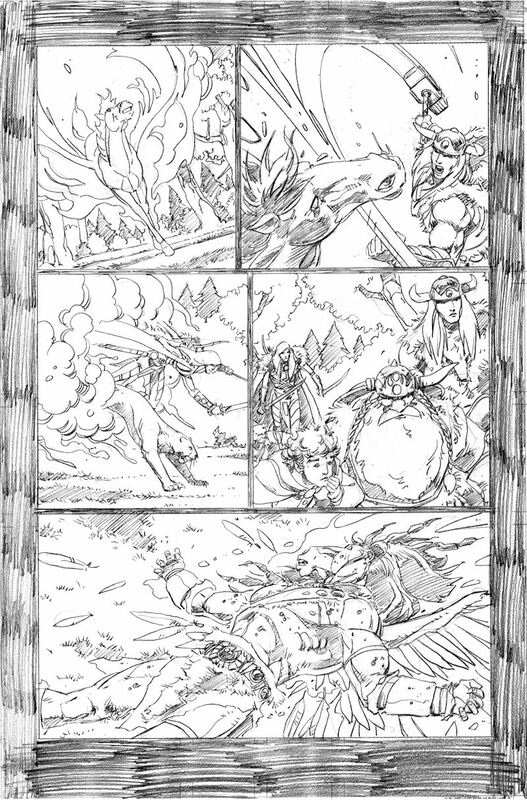 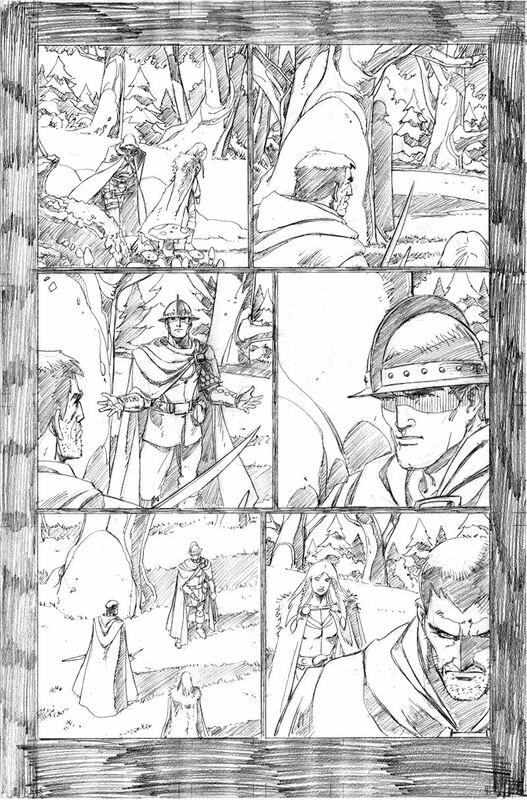 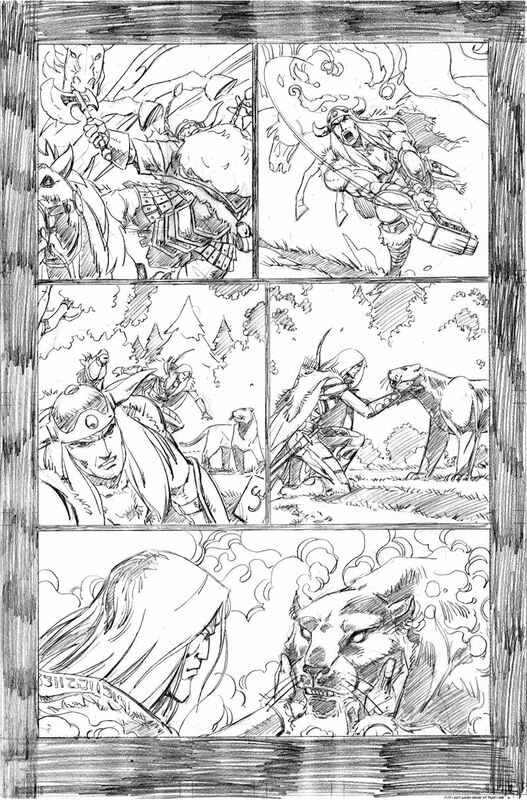 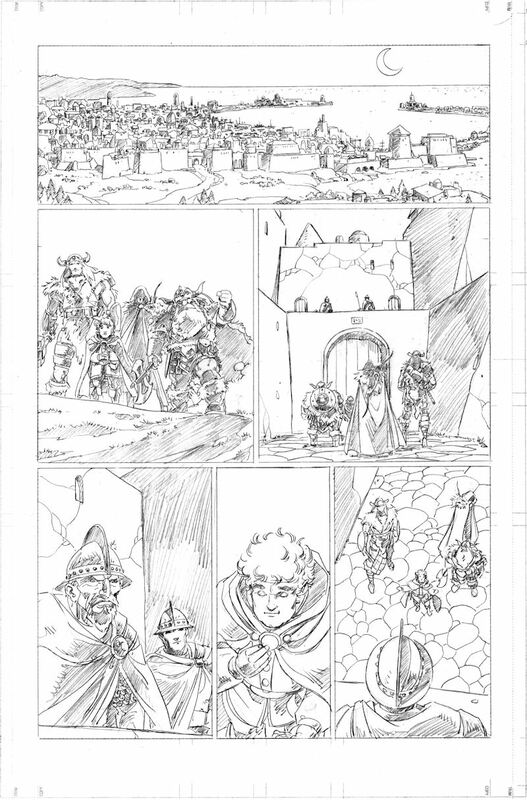 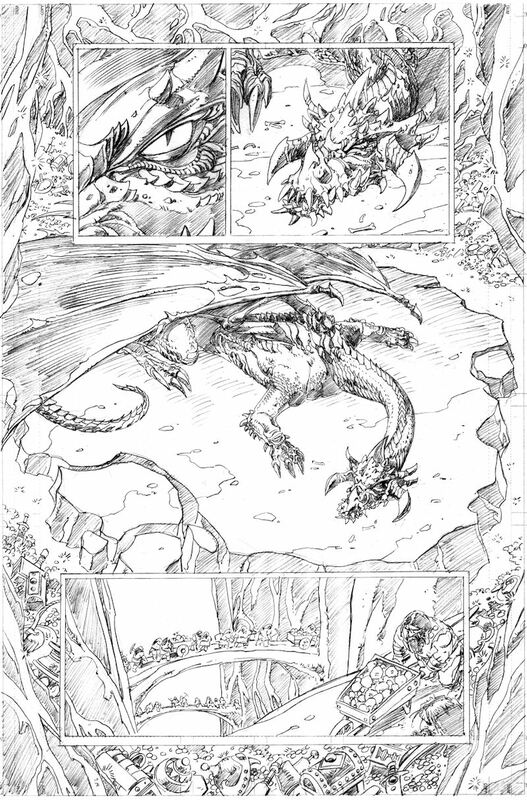 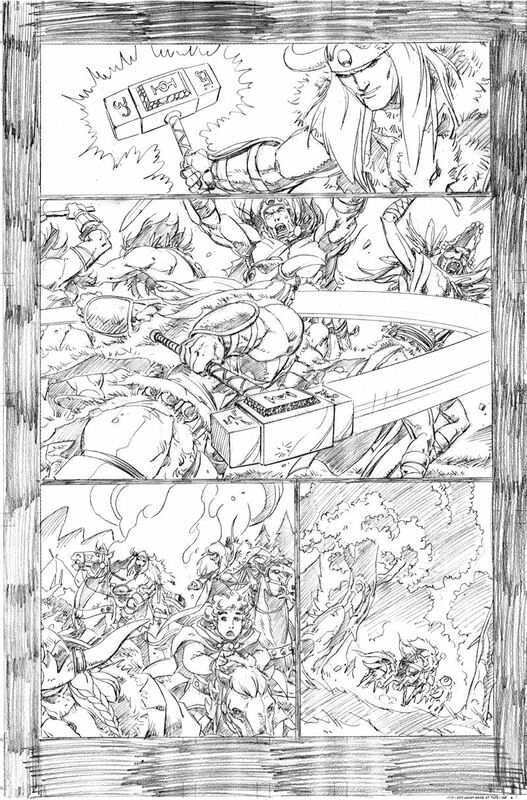 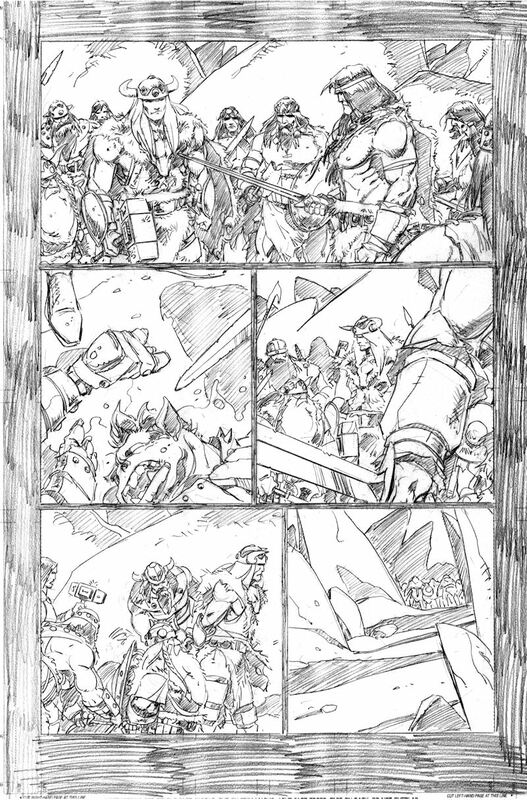 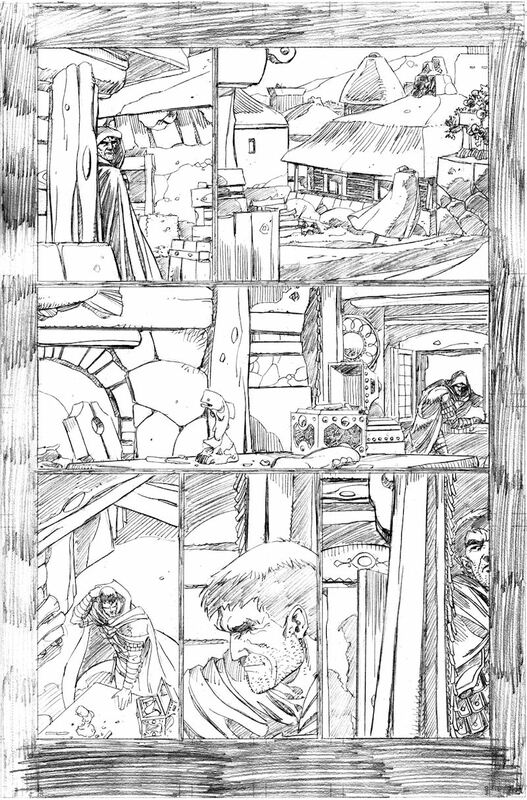 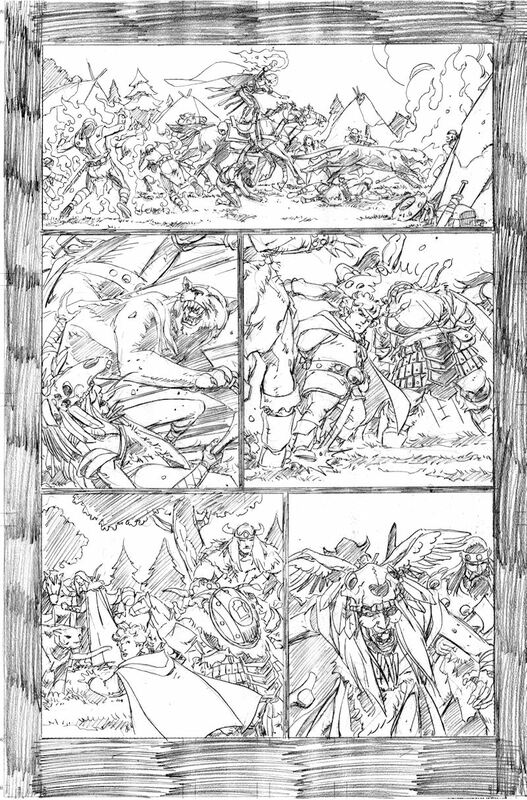 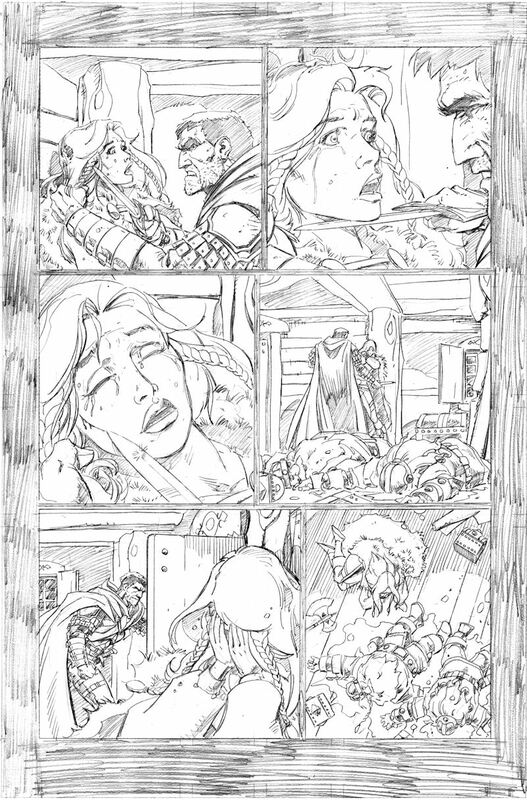 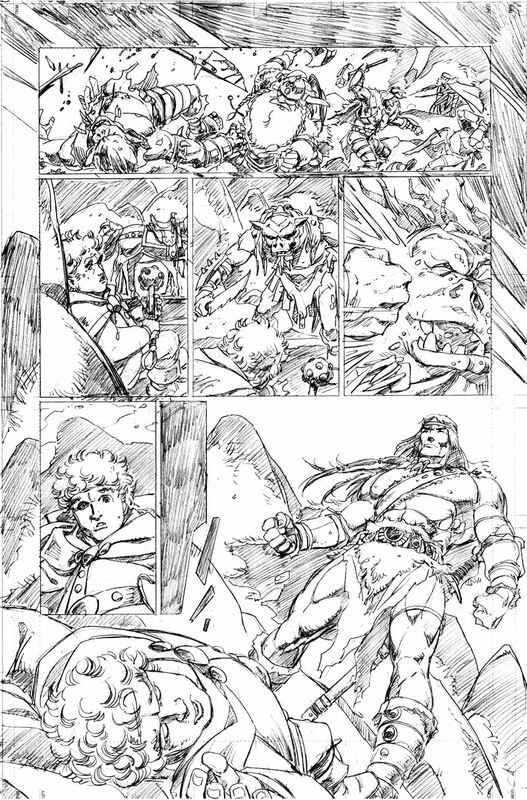 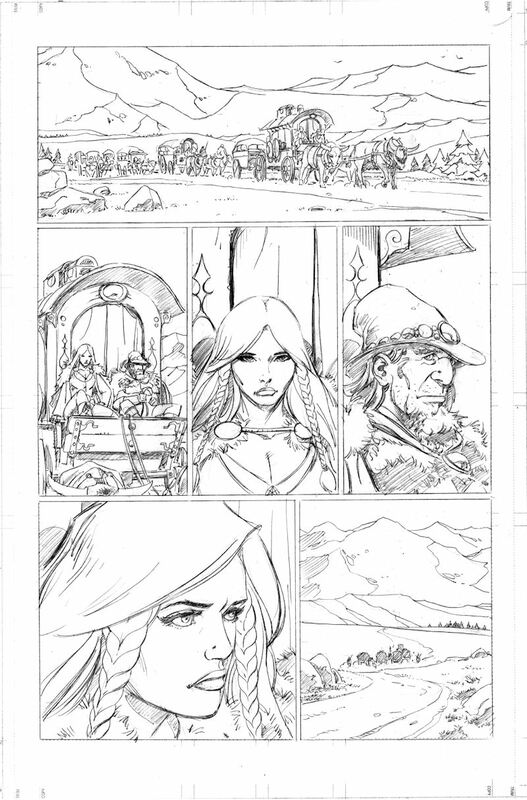 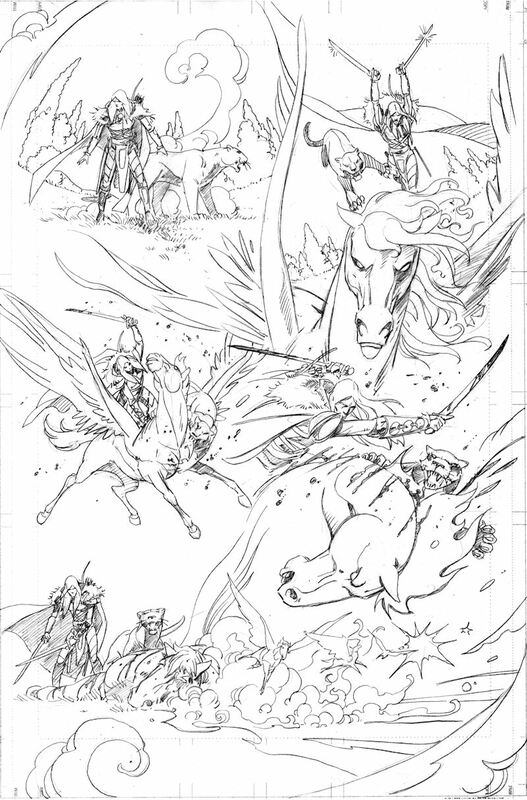 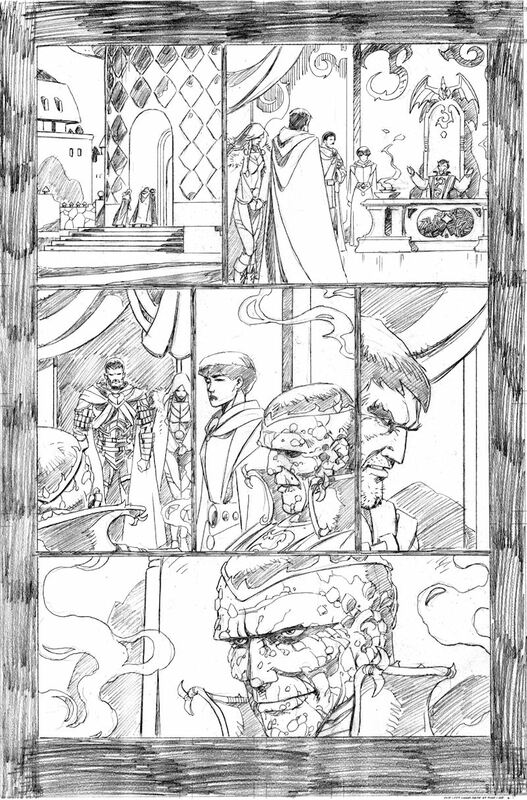 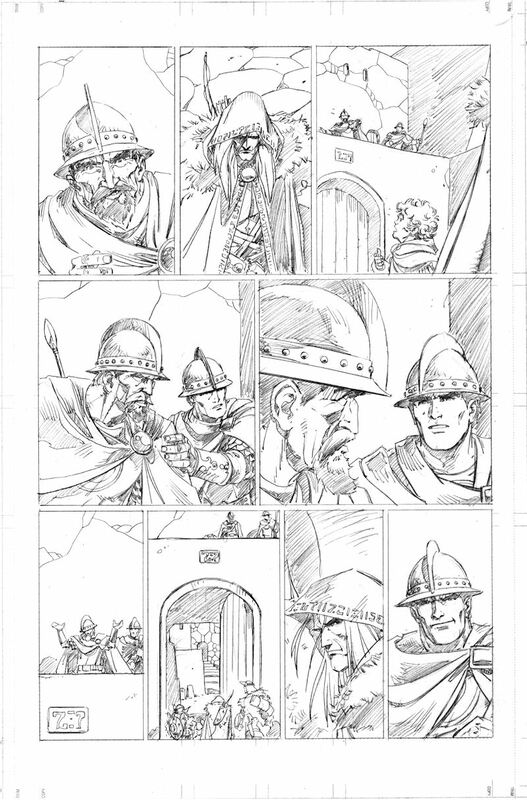 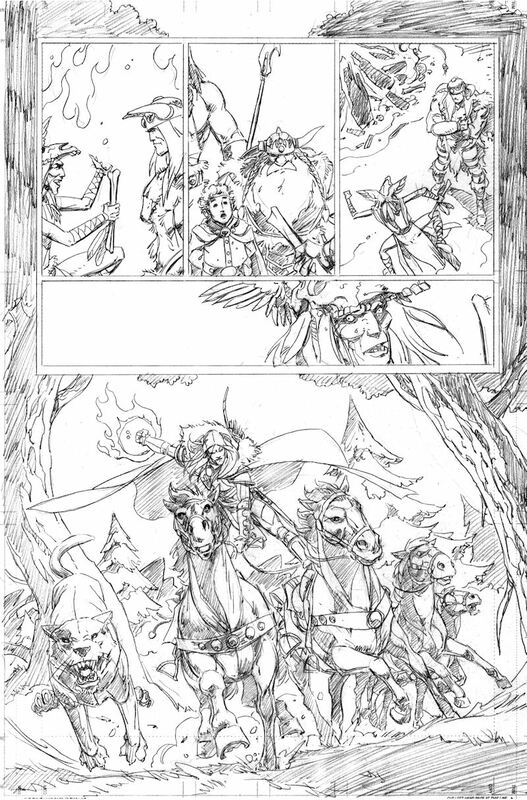 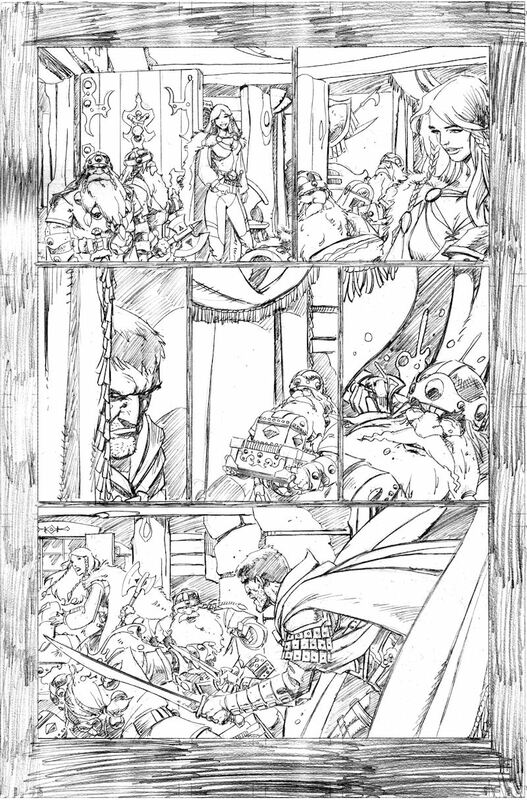 I’ve always wanted to show the original pencils for STREAMS OF SILVER because I was never happy with how they were reproduced in the published books. 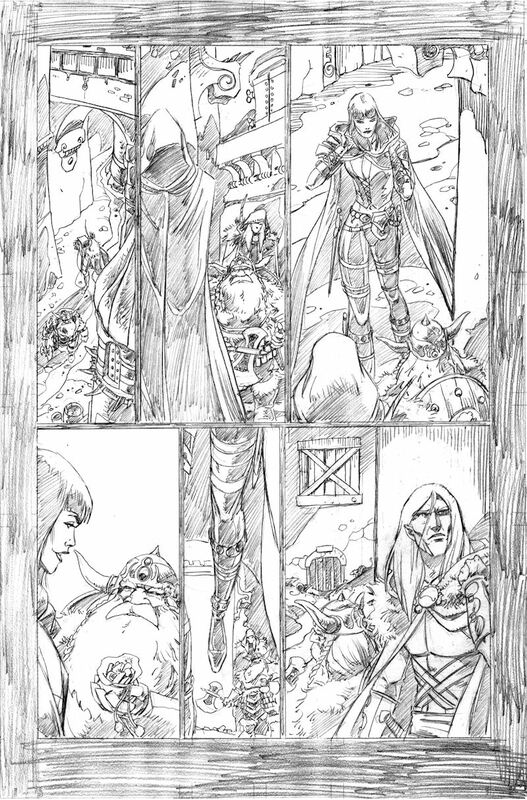 With this story arc, I was finding my artistic ‘legs’ for rendering Drizzt and company and getting very comfortable with the material. 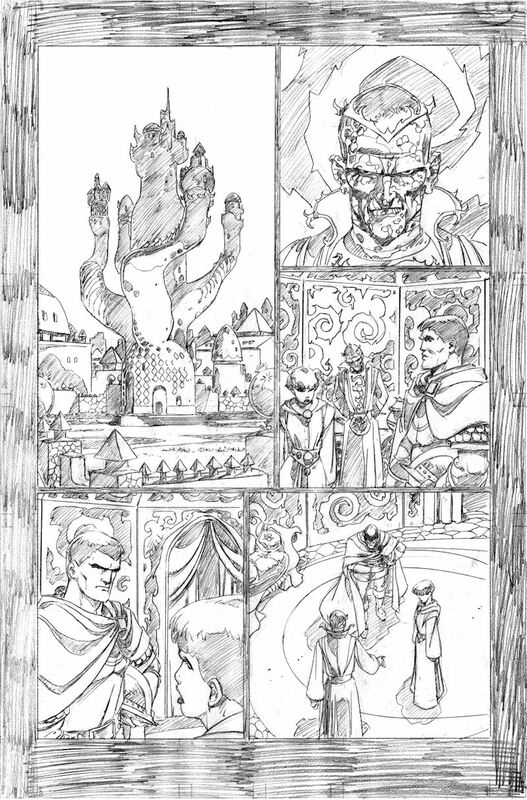 I think there’s some very good art here. 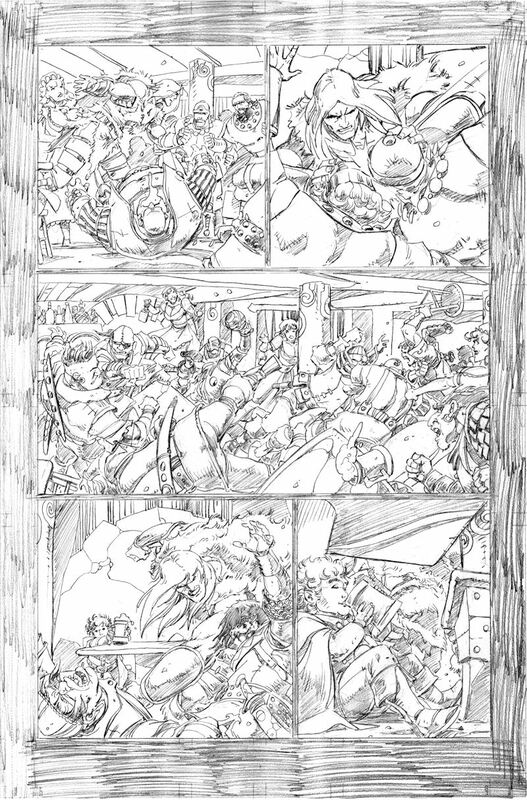 The pages were drawn at a rate of about 30 a month – that’s considerably faster than normal comics. 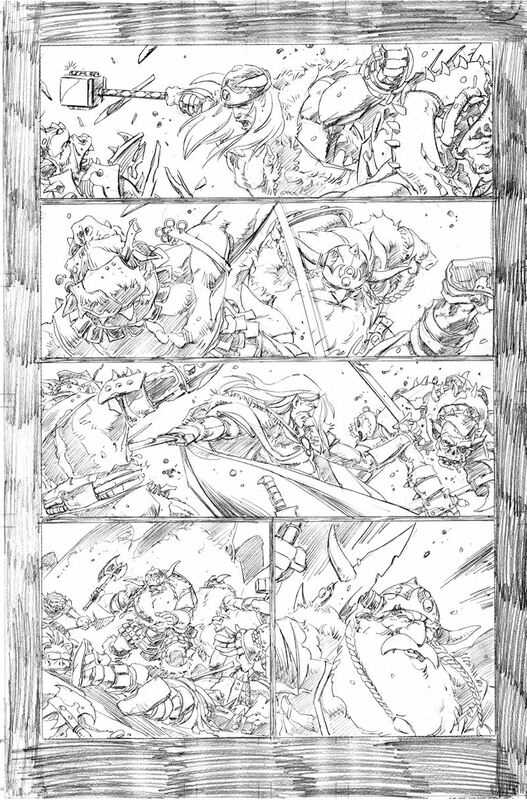 But there’s still a lot of detail in the art along with a large cast of characters. 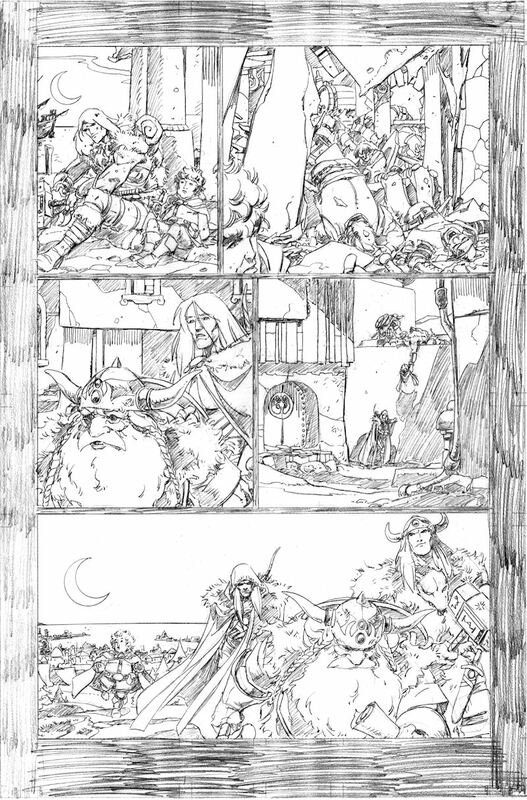 It had to be difficult for the rest of the creative team to keep up with what I was doing. 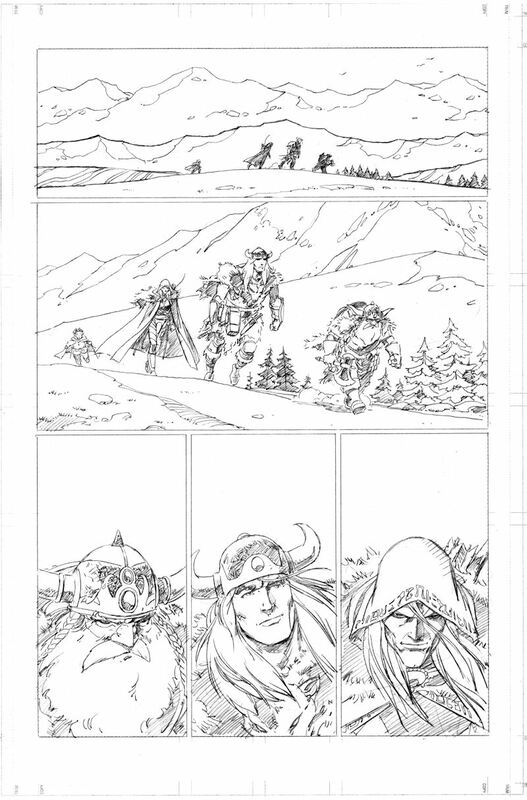 Inking was done digitally or on printouts of scans. 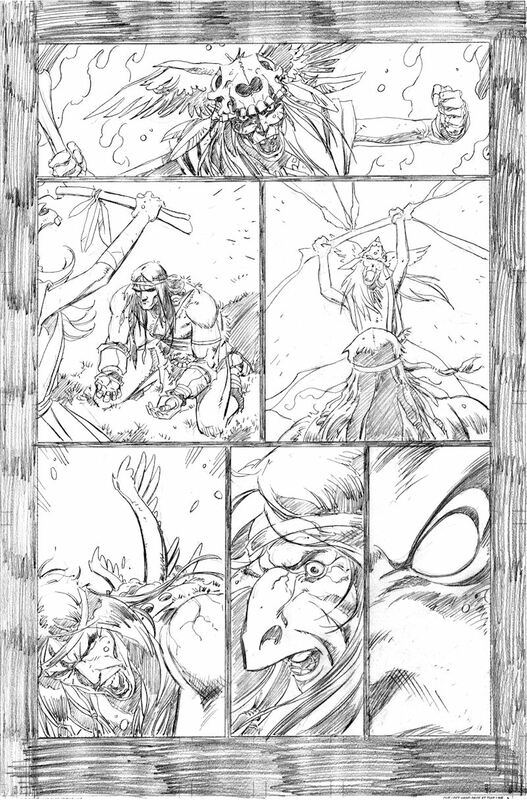 This is far from optimal and a lot of detail and nuance was lost. 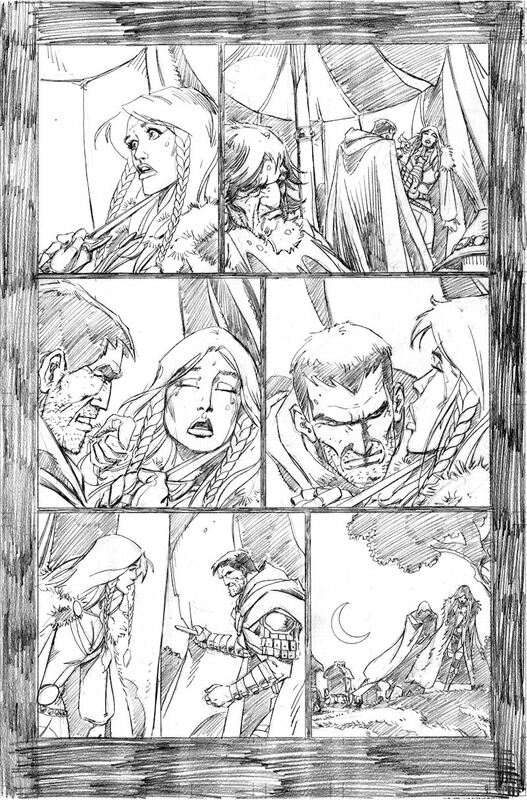 Especially in character’s facial expressions and acting. 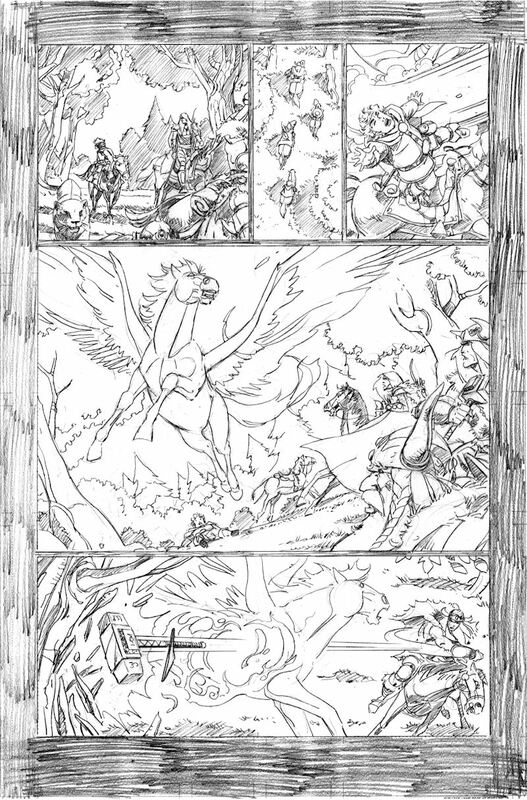 Coloring was likely done under enormous deadline pressure. 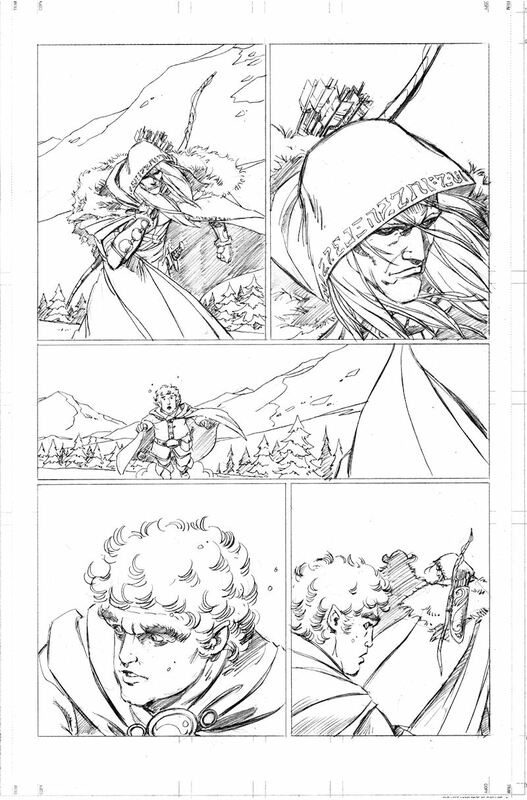 I’m not ready to sell any of this art yet. 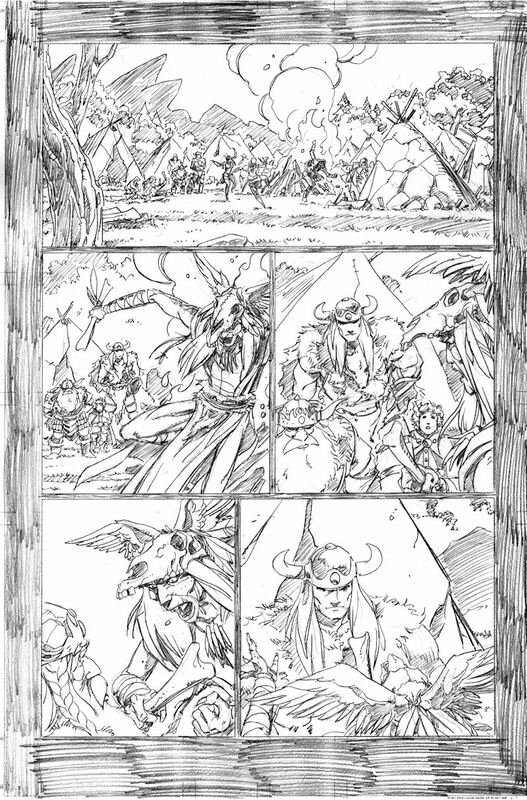 The DRIZZT books are still in print. 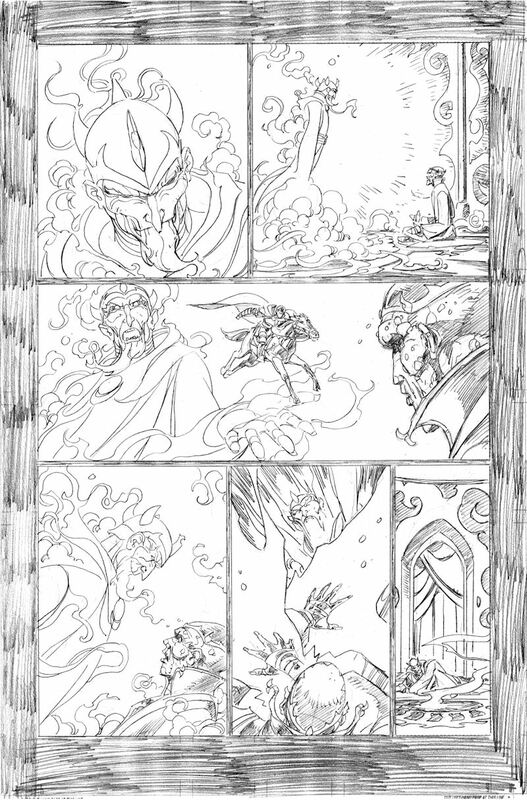 Maybe a day will come when these drawings could get fresh inking and coloring.